Witnessing vow writing mistakes can be awkward but as a vow expert, I’m here to show you how to make your wedding vows different. You do not need to make these common vow writing mistakes. You are stressed enough when it comes to vow writing—let’s not add reliving an uncomfortable vow exchange on your wedding video to the list of things to worry about. Here’s a list of the seven most common vow writing mistakes. You’ll also find tips for how to avoid these mishaps so you can feel calm while reading your vows on your big day. There are many things you could say when detailing your love. Concentrate on the anecdotes that highlight important aspects of your relationship. Leave out any superfluous comments that won’t add to the impact of your vows. Not sure exactly what that means? Let’s look at an example. I appreciate everything you do for me like waking up early to prepare my coffee, feeding the dog, leaving me thoughtful notes, cooking my favorite meals, and making sure I always do my evening back exercises. Whether it’s waking up early to prepare my coffee or leaving me thoughtful notes around our apartment—you always make me feel taken care of and loved. What you notice when you compare these two examples? Both sentences convey specific details about how her fiancé shows love. However, the phrasing and word choice can make all the difference. The first example sounds like a laundry list of tasks her fiancé does for her. The focus is on how he works more than how he loves. The second sentence, however, uses just a couple specific examples to display how she feels support and love from her fiancé—support and love now become the focus. Personalized wedding vows should sound like you. What if in everyday life you curse like a sailor and enjoy dirty humor? When deciding what kind of language to include within your vows, consider this: would you feel comfortable reading your vows in front of your grandmother? Will you feel comfortable having your future children read what you write? If so, go for it. If not, edit your vows a bit. They can still sound unique to your personality like you without including curse words or sexually overt language. Instead, focus on tone and delivery to capture your character. Many brides and grooms have this romantic notion that if they “wing” their vows, it will sound more authentic. I’m here to tell you that spontaneously speaking from the heart during your ceremony is not the best direction to choose. You’ll inevitably forget to say something important. You will ramble. You will lose sight of what you want to communicate. Ultimately, you will sound like you are winging it and your vows will not do justice to what’s in your heart. Write your wedding vows in advance. Even if you only jot down a few notes or make a bulleted list to guide you during the ceremony. Any level of preparation will go a long way when it comes to reciting your wedding vows—especially when many guests will record the words you say and share it with everyone on Facebook. The whole point of writing personalized wedding vows is to capture what’s unique to your relationship. To do this, get specific. Use vivid detail, tell a story, share an anecdote. Here’s an example of how to turn a vague thought into a more specific one so you can avoid this common vow writing mistake. Vague: Your love and support mean so much to me. Specific: When you encouraged me to start my own business, I witnessed your unwavering confidence in how I could achieve my dreams and I felt so supported by you. I know you will continue to provide this kind of dedicated support throughout our marriage. Do you see how the concept of support is magnified through the usage of detail and specificity? Talk with your fiancé about your vows before you start to write. This does not mean that you need to share the details of what you plan to say. It can still be a surprise. There are just certain details that are helpful to cover together in advance of the big day. For example, how long should the vows be? Discuss how many minutes are allocated to reciting your vows during the ceremony and determine a word count range based on that. Be sure to also discuss sentiment. It might be awkward if your vows are serious and sappy while your fiancés’ are more playful and funny. Agree on a general tone to follow. Be sure to also discuss any topics that are off-limits. When it comes to sensitive subjects, agree in advance that you wish to avoid such topics. What does this mean? Do not write everything by yourself and then expect it to be amazing. Let people in on your work while it’s still in progress. This will allow you to polish as you go. I recommend calling on your maid of honor to help with this wedding task. Once you’ve written your vows, you’re done, right? Enter this common vow writing mistake. In order to sound confident and poised, practice reciting your wedding vows before the ceremony. I recommend practicing in front of your maid of honor. Another great option is to record yourself reciting your vows. While it might be a tad awkward to listen to your own voice, trust me. It’s better to spot those nervous ticks before the wedding day. This will give you plenty of time to self-correct any public speaking ticks. Do you say “um” too often? Perhaps you mumble and need to speak more clearly? To avoid this vow writing mistake, practice reciting your vows at least three times before your wedding date. This level of practice will make you feel more confident too. Still worried about making vow writing mistakes? As a vow expert, I can help. 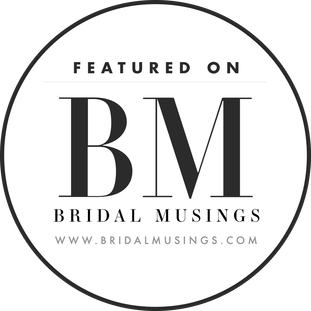 I work with brides and grooms to write wow-worthy wedding vows—mistake-free! Get in touch to learn more about the vow writing and vow editing process at Wedding Words.